With more and more people in the world--and particularly in the workforce, our roads are becoming increasingly crowded. Inside our cars, it's easy to feel isolated from the world and forget that there are other people with different priorities. That can cause us to be far less polite to one another while driving than we would be if we met in person and had to face each other on a more personal level. Additionally, when we’re all frustrated with traffic, sometimes people make mistakes or pull impolite driving maneuvers, which can lead to anger from other frustrated drivers and create a cascade of hostility. This often results in road rage, which can pose a significant threat to health and safety for everyone on the road. 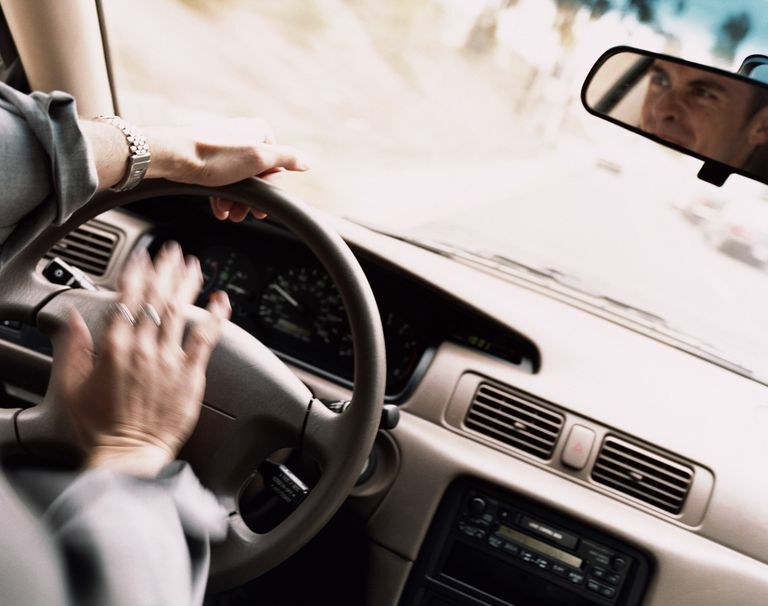 Road rage and hostile driving may be common, but that doesn't make it safe. Obviously, road rage may make us more prone to accidents, However, there are other risks as well; people experiencing road rage may face increased health risks that come from high levels of stress, tension, and anger. These episodes of acute stress may become chronic stress, which leads to many negative health outcomes. In addition to the toll stress takes on the "rager's" body, the increased risk of a car accident due to road rage puts all drivers at risk. Moreover, some incidents have become violent as a result of everyday road rage that escalated out of control. Breathe: Breathing exercises can help you cleanse your body of stagnant air and stale energy, getting your blood more oxygenated and, of course, releasing tension. Focusing on your breathing brings your attention inward and makes frustrations seem more removed, without taking your focus too far away from the road. Listen: Listen to music or audiobooks. Music can subtly color your experiences, adding an exciting soundtrack to your commute. Audiobooks can supply you with a mild distraction that can make your drive enjoyable enough that you find annoying drivers and bumper-to-bumper traffic less frustrating. Relax: Practice Progressive Muscle Relaxation (PMR) and Deep Muscle Relaxation (DMR). When you’re frustrated, you store the tension in your body. These techniques will help you learn to quickly release the tension you’re carrying, even as you sit in the car, which will help you feel more physically and emotionally relaxed. Play: Use cognitive-behavioral interventions like Counting Idiots. Basically, if you accept that a certain amount of people are going to make fools of themselves on the road, and decide to make a game out of counting them, you can cut down on the stress you feel in response to their rude maneuvers. Plan: Manage your time wisely. Often, when we’re frustrated on the road, it’s because we’re in a hurry and can’t get there quickly enough because of traffic. Organizing your schedule so you can leave earlier, and planning for traffic, can leave you feeling more relaxed because it really won’t matter as much if the trip takes a few extra minutes. Experiment with these techniques and others from The Tension Tamers Section, and you should find your driving time to be more pleasurable, and your commutes safer. Stressed By "Fakebooking"? Here's The Stress Relief You Need!